Tutti Designs: Be a Mermaid! Hi everyone! 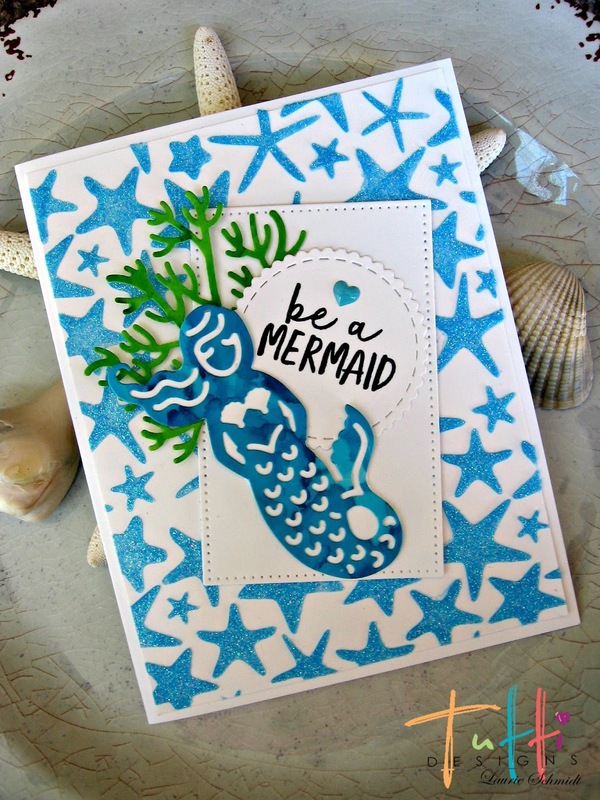 Laurie here sharing an "under the sea" card today! 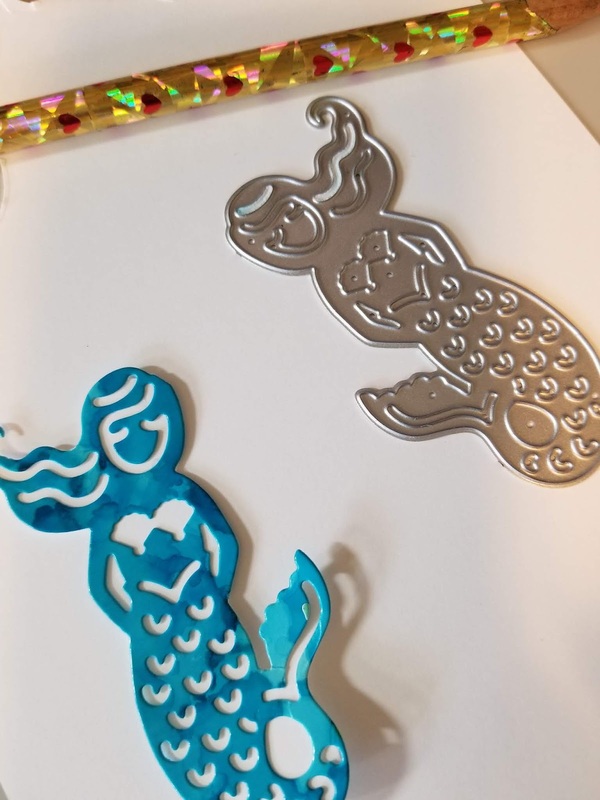 I started out with the cute mermaid die. 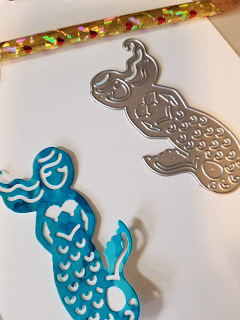 I cut it out in a piece of blue alcohol ink paper, then I traced around the die onto some white card stock and adhered them together. I also cut out a piece of coral in green alcohol ink paper. 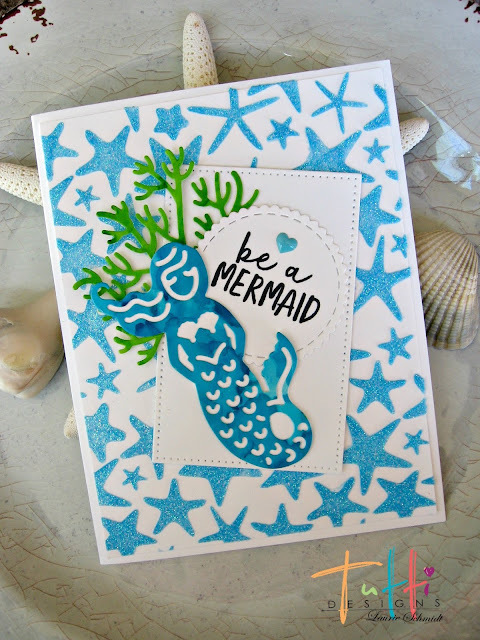 I stamped a sentiment onto a scalloped stitched nesting circle, and adhered it all onto a dotted nesting rectangle. 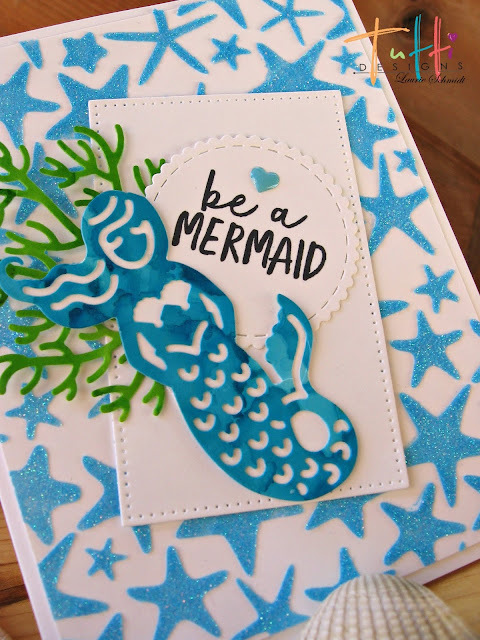 Cute mermaid card, Laurie! Wow, that is a spectacular background!